Does it seem like the cost of everything is going up? Inflation is not limited just things, it also applies to services such as utilities. In the Lakeland area, according to TheLedger.com, the average electric bill might be seeing a 3 percent increase in rates, taking effect by the fall of 2018. 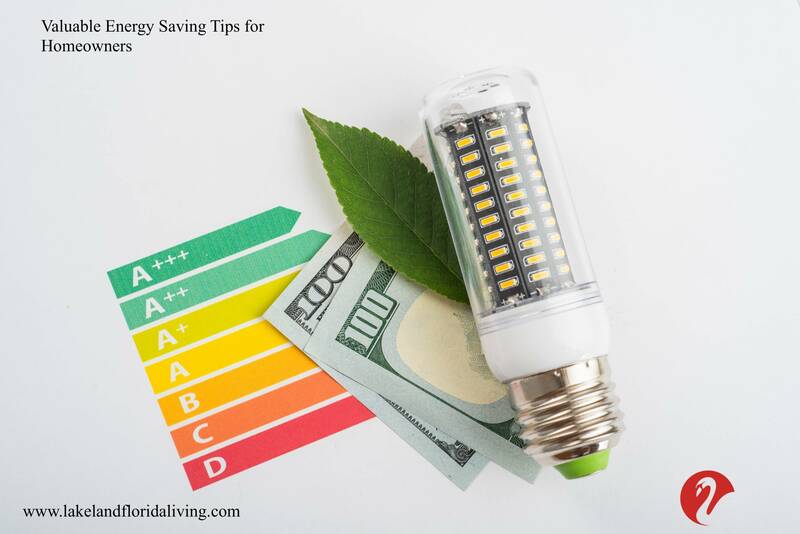 If you are looking to tighten up your budget or just save money in general, finding ways to make your home more energy efficient is a great way to start. 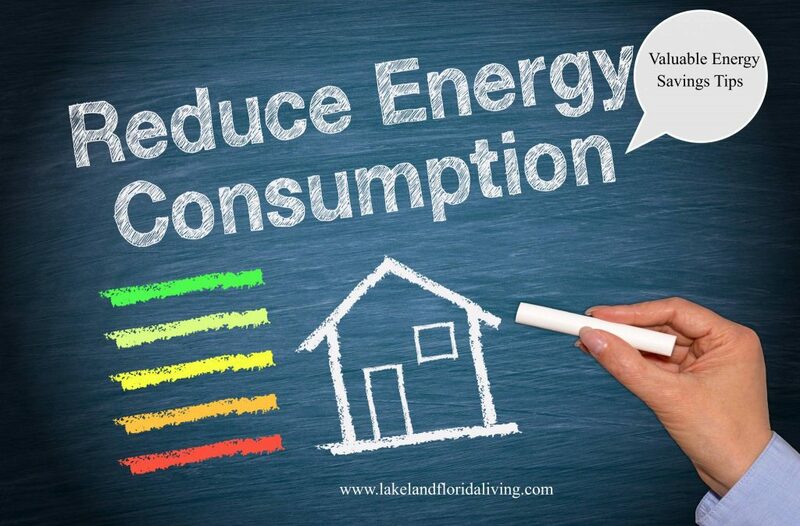 Your local Lakeland real estate agent, Petra Norris is here to help with these energy saving tips. Use more power during “non-peak” hours. If everyone in your area is using copious amounts of electricity during the evening, it strains the utility system—and increases your bill. Consider running your appliances such as your dishwasher and washer overnight to help conserve energy. If your refrigerator makes ice cubes automatically, this seemingly handy feature actually can be a huge factor in adding to your energy costs. Unless you are needing more ice on a daily basis, consider turning off this feature and turn it only only when you need additional ice. Making this change could decrease the energy usage of your refrigerator by as much as 20 percent! Even a highly efficient water heater can lose heat through its outer frame. Consider “tucking in” your water heater with a fiberglass blanket, to lower energy costs. Simply wrap the fiberglass around your water heater to drop its energy usage by up to 9 percent! Another way to reduce the energy output of your water heater is to lower the temperature that it heats up to. When it is time for a new water heater, consider going with a tankless model. Also known as a demand water heater, a tankless water heater only heats water when the faucets are turned on; a traditional storage water heater keeps all the hot water hot all of the time. Statistics posted on the official web site of the Energy Department (www.energy.gov) indicate that tankless water heaters can be 24 to 34 percent more energy efficient than conventional models. Turn off lights whenever you leave a room. This will help minimize wasting electricity. Teaching your kids this habit, however, can be easier said than done. Consider buying motion sensors that can be programmed to turn off lights whenever everyone leaves a room. These can be great for kid’s rooms, and bathrooms. Eliminate vampire power. Vampire power refers to wasted electricity that is generated when your devices are plugged into outlets and chargers but are not being actively used. Unplug your devices and chargers when they are not being used. You can utilize power strips to make unplugging all of your devices easier. For instance, plug all components of your home entertainment system into a power strip, then you only need to unplug one cord when leaving your house or before going to bed. Downsize your computer. The average laptop uses approximately one-third less energy than a desktop computer. Nowadays, laptops can perform many of the same functions that a larger desktop computer can, with an added bonus of being easy to move when needed. Consider switching to a laptop computer when it’s time to get a new computer and lower your energy costs in the process! Replace your regular light bulbs with energy efficient bulbs. Before, energy efficient bulbs took a while to turn on and had a tell-tale coil shape. Nowadays you can find energy efficient bulbs in a number of different shapes, sizes and colors from warm to cool light. There is no need to sacrifice your decorating style to switch to energy efficient lighting. Switch to energy efficient appliances. Conventional appliances can waste valuable energy. When it’s time for a new refrigerator, washer/dryer, TV or other energy hungry device, look for the Energy Star label to make sure you are choosing the most efficient device. If you want a complete breakdown of your energy costs (and possible areas where you can improve your home’s energy consumption) get an energy audit. This can be done for free if you have Lakeland Electric. During this process, an expert will come into your home and help you identify ways to save energy. A professional energy auditor will assess the total energy your home consumes, and then identify problems that, if corrected, will save both energy and money over time. An energy auditor also suggests measures you can take to make your home more energy efficient. The City of Lakeland also offers rebate on energy saving items, residents have received rebates on replacements for air conditioners, appliances and toilets. Check out this link periodically to see if you qualify. I recently received $300 rebate on the electric bill for installing a 15 seer energy efficient air conditioner with heat pump. Taking steps now to make sure your home is more energy efficient can make it more attractive to buyers when you decide it is time to place it on the market for sale. Upgrading your appliances to energy saving models can also be a selling point that will enhance your overall property value. That means when it comes time to calculate the listing price, you might be able to bump it up a little! I believe that taking part in being environmentally conscientious is a duty to yourself, our environment and lastly to our world. You can start out by just recycling newspaper, bottles, cans, paints, batteries etc. Energy efficient upgrades generally have a larger upfront cost. But the money you save on your utility bills and the added value to your home will more than make up for the initial cost. Thanks for the great tips, Petra. These are well worth following. Thank you Gabe! I’m glad you liked the article.